My friends all seem to be in their fertile years and there also seems to be something in the water where I live! For that reason, I like to keep a stash of baby gifts on hand, so that I’m ready with a gift for the next baby shower. Lately, my stash has consisted of soothers in a variety of age ranges, previously I had some clothes and a whole bunch of bibs in different sizes. There are some things which are fantastic to receive as a baby shower gift, but short lived in life. For example, baby clothes. Especially when they are little, some kids can outgrow clothes after a single wear! It’s a good thing that they are tiny! I know that creating baby registries has started to gain in popularity, but for the most part they are offered by large retailers and I live in a small town, sans those retailers. Basically, I use that as an excuse to go totally off script and buy what I want. Ahem. Okay, that’s a bit of a misnomer, you can’t truly buy smarts. However, you CAN buy books. And, there’s no such thing as too many books! Here’s where I have a confession to make: little kids books don’t have those handy circles in the corner saying “12-18 Months” and such. I found it rather frustrating, haha. I ran into another friend while I was at the store, the one who happened to be organizing that particular shower, and she said her niece likes to flip through the cardboard style ones and look at the pictures, so the word count really doesn’t matter. There are also fabric books for very little kids, however all of the ones I saw were nearly $20 each. You can buy a lot of other books for $20, so I passed on those ones! Plus, the cardboard ones can last them until they’re about 5 years old, learning to read themselves. I still haven’t done it, but one day, I am going to order a whole bunch of the book Go the F**k to Sleep , because.. just yes. Amazon informs me there’s a new, tamer version called Seriously, Just Go to Sleep , but that’s not nearly as much fun. 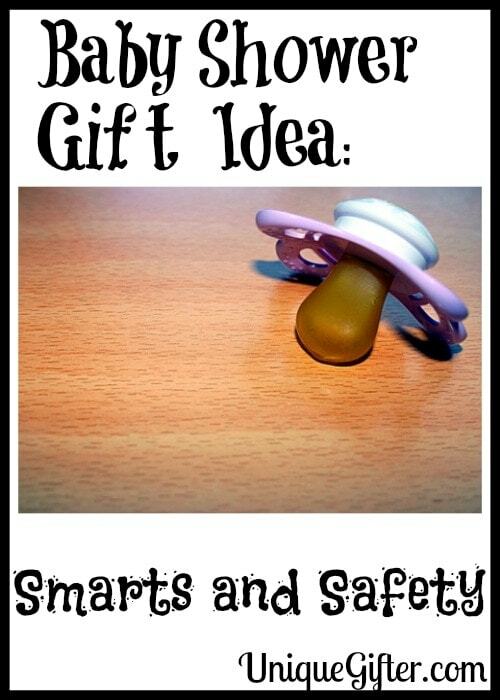 Safety and Smarts – things that all babies will need, they will last a long time and they won’t break the bank! I've never really been to a baby shower (as an adult who would need to bring a gift, at least) so I would probably panic a bit about bringing a decent gift. I would probably just buy something that I myself would want when I have kids! I haven't actually read the whole book, but I sure want to! Great suggestions! I def hope to receive things I need over the next few months vs. piles of baby clothes! I'm told that babies go through an insane amount of clothing, so you probably still do need some clothes, but it's all about balance! The frugal person in me wants to help parents avoid costs. I love getting books for baby showers. I think they are the best gift. They are so personal too, you can get the books that you loved as a kid. My recent post The Age-Old Question: Rent or Buy a Home? Yes, excellent point! I'm constantly surprised by how many of the books and nursery rhymes are exactly the same, decades later! Great idea with the safety suggestion! One reason I fear having children is the whole baby-proofing process – there seems to be so many ways babies/kids can hurt themselves! All in moderation ;-) No need to be a helicopter parent… just remembering some of the basics that have gone by the wayside, like storing chemicals at ground level! My house is so completely not child-safe at all! Too bad kids don't have an off button, eh? Some great ideas here. I always go with a pair of baby Adidas trainers simply because I think they're cute as hell, you've made me think I should go a little more practical from now on though. Those sound adorable! Good shoes are definitely something that kids need! When it comes to baby gifts, we have to ensure safety and interest of a child while selecting gifts. Some really nice ideas here shared by the writer. Years ago, I remember someone telling me that babies were cheap. As in, “You might as well have a slew, ‘cause babies don’t cost nothin’.” they don't know how costly are the Baby Gift Items are as compare to ours :). Good ideas you have posted….thumbs up! This is a great post foe those who want to buy a good car.